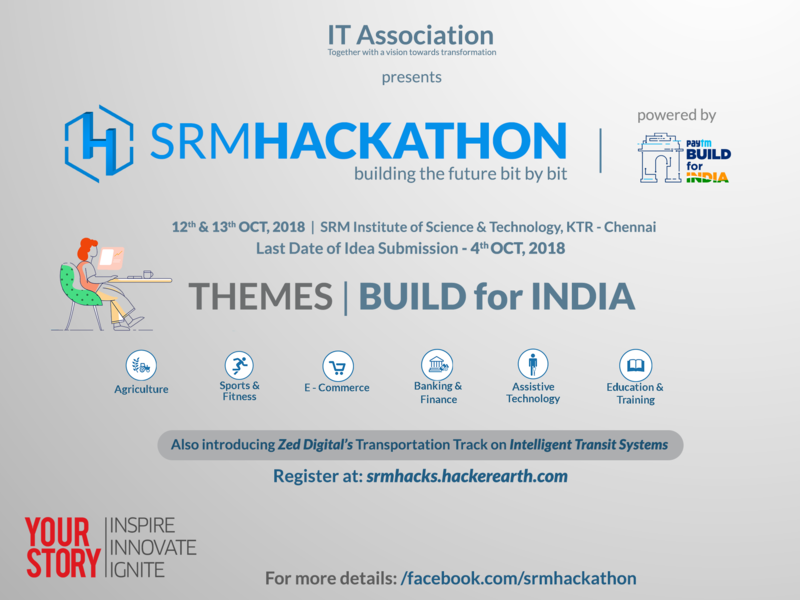 IT Association of SRM Institute of Science &amp; Technology, Chennai, takes immense pride in inviting you to compete in the most exemplary Hackathon of the season. SRM Hackathon is an impeccable platform that is aimed at testing the inventive, imaginative and technical proficiencies of the participants. Last date of idea Submission is 4th October 2018.